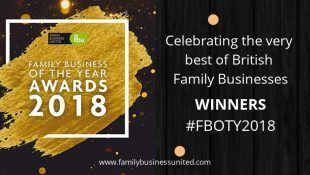 Wharfe Valley Farms is owned by the Kilby family, third generation farmers, producing Award Winning, Extra Virgin, Cold Pressed Rapeseed Oil, grown, pressed and bottled on our farm near Wetherby since 2006. Yorkshire’s first rapeseed oil producer and third nationally. The local free draining, fertile limestone soil on our farm ensures the golden colour and delightful nutty flavour, full of natural goodness, in every bottle of rapeseed oil produced. We continue to use traditional methods of ‘swathing’, chemical free harvesting, and where possible, bottle to order, to ensure the freshest flavour. Brimming with health benefits including half the fat of other oils, our rapeseed oil has been endorsed by celebrity chefs, foodies and nutritionists who value its heart healthy, delicious taste and cooking performance, at the highest temperatures. Find out more about the HEALTH BENEFITS here. 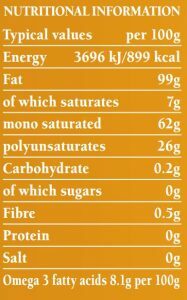 Have you made the switch to rapeseed oil yet? We offer a range of gift packs and hampers which can be personalised to suit your taste starting from as little as £8. 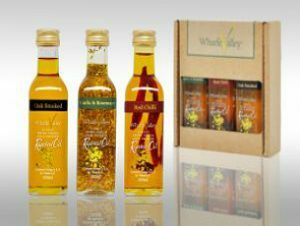 "If it’s real Yorkshire Rapeseed Oil you’re looking for then you need to turn your attentions to Wharfe Valley." "Worth the money, you can tell they're very good quality!" "Once you buy one bottle, imported olive oil will never bless the shelves of your kitchen ever again!!" "I just adore this rapeseed oil. I've tasted them all, and this is my favourite. I use it in my cooking all the time. So healthy, so delicious and so English."